New Canaan Library presents the work of Connecticut-based artist Duvian Montoya. New Canaan Library presents the work of Connecticut-based artist Duvian Montoya through March 26. The exhibition will take place in the H. Pelham Curtis Gallery. Rich, saturated color and strong brush strokes are the hallmarks of Montoya's paintings and art. Much of his work is an expression of his own personal journey. His inspiration comes from many and diverse directions. 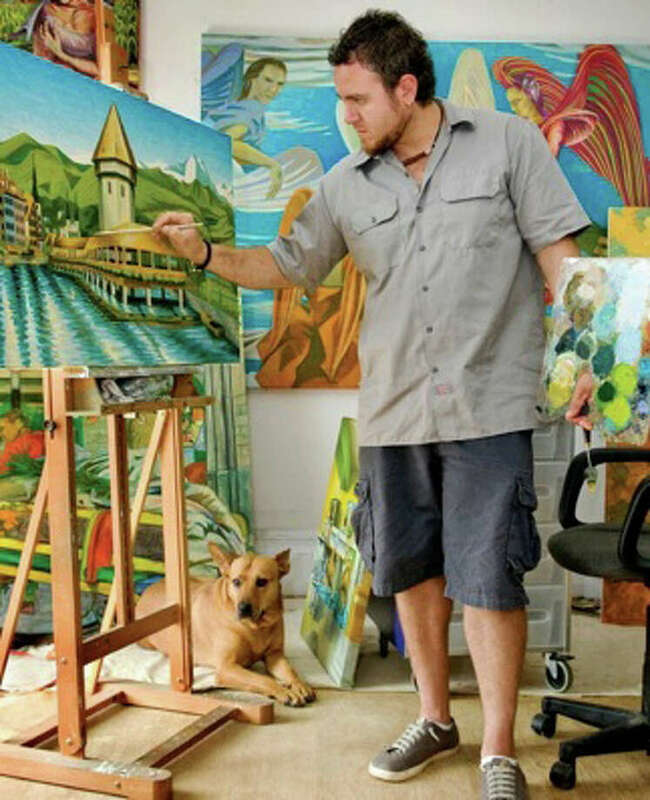 He cites his hard-working Colombian parents, who exposed him to all aspects of the Latin culture and who nourished his passion for art at an early age. Time spent in Europe studying the Old Masters -- specifically Vincent van Gogh -- figures strongly as inspiration and in his personal style. While living in New Mexico, Montoya continued to develop his own distinct voice using line, brushwork and color to establish volume, depth, energy and emotion in his work. Much of Montoya's vibrant art is reflective of New Mexico's colorful landscapes, skies and culture. Despite his love of the New Mexican scene he returned to the Northeast to focus on painting. Montoya's current work exemplifies his cultural history, social issues and his personal observations on everyday life. Montoya attended Manhattan's School of Visual Arts with a concentration in painting and jewelry design. Beginning in 2002, Montoya has been the focus of several solo exhibitions and invited to participate in numerous group exhibitions, including Linear Structures, Fairfield Art Center and 2010 International Art Tour Exhibition, New Mexico, Japan and south Korea. Most recently, he was the winner of South Norwalk's Train Station Project, and will create a tunnel art installation reflecting the generations which have passed through the station. The city of New Haven has also commissioned Montoya to create a 16 by 37-foot mural, "Harvesting Community," in New Haven's new Hill Central School. He hopes to continue these large-scale projects in addition to his more traditional gallery work. Sketchbook Moments and Painted Studies is sponsored by the Art Committee, Friends of New Canaan Library. The curators for the show are Diane Kerner, Laura Einstein, and Ann Barua. For more information, call 203-594-5003 or visit www.newcanaanlibrary.org.